The Vaal River is an exciting river rafting destination. 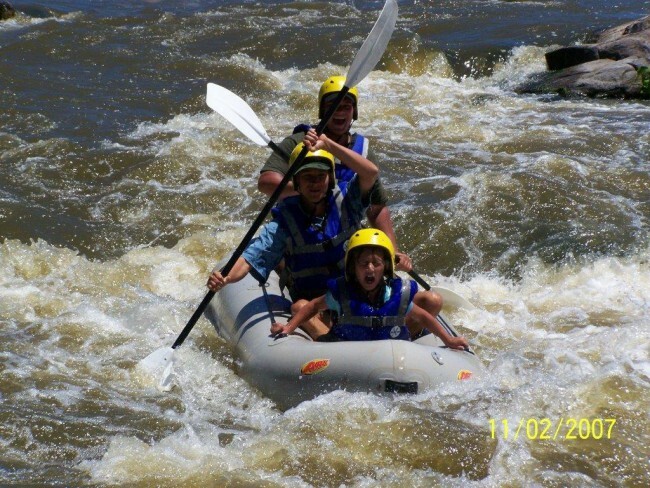 Try a day of river rafting and experience the thrill and challenges of conquering the rapids of this mighty river or spend a weekend exploring Parys. Just over an hour’s drive from Johannesburg CBD, in the Vredefort Dome, the quaint town of Parys is conveniently situated for adventure enthusiasts. Earth Adventures offers a variety of extreme adventures and adventure activities, including abseiling, fly fishing, paintball and quad bikes. Tailor-made packages are available on request. For the wild at heart, the more challenging rapids of the Upper Vaal offer a higher water flow. Go for it - Vischgat awaits you!